Public health nurses are registered nurses (RNs) that specialize in promoting the health of entire populations, rather than one patient at a time. Public health nurses accomplish this by deploying knowledge in the nursing, social, and public health sciences. They identify individuals, families, and subpopulations who would benefit from health promotion or who are at risk of disability, injury, illness, or premature death. Public health nurses develop a plan for intervention in partnership with the community. This plan takes into account available resources, the range of activities that contribute to health, and the likely impact on injury and illness prevention. Public health nurses then implement these plans to deliver care, deploy health resources, shape government health policy, and stimulate health and disease research. 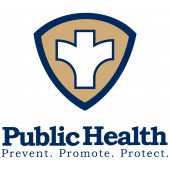 Public health nurses work in a broad range of settings, including public departments of health, schools, occupational health facilities, businesses, and correctional facilities. These RNs typically earn between $54,000 and $80,000 per year. Compensation varies by type of employer, region of the country, and the nurse’s seniority. Advanced public health nurses can earn $90,000 or more annually, with top performers taking home $110,000 per year. Employment growth is promising as well. RN employment will grow by almost 20 percent over the coming decade, while advanced practice registered nurses (APRNs) will enjoy 31 percent growth in jobs. Both rates of growth are significantly higher than average. Due to the specialized nature of the career path, education requirements for public health nurses are unique. Aspiring public health nurses must first complete their RN training, typically an associate’s degree in nursing (ADN) or bachelor of science in nursing (BSN). The program should specialize in public health and nursing science, with a primary focus on population-level outcomes. Nationwide, more than 1,200 community colleges, technical schools, and career schools offer an accredited ADN program. Approximately 800 four-year colleges and universities offer the prelicensure BSN pathway. The ADN pathway takes two years to complete, while the BSN program requires four years of study. Upon completion, graduates must pass the National Council Licensure Examination (NCLEX) to obtain licensure, which is mandatory in all states, the District of Columbia, and U.S. territories. Many public health nurses also hold an advanced degree. Popular options include a master of science in nursing (MSN), doctor of nursing practice (DNP), doctor of philosophy (PhD) in nursing, or a similar course of study in the public health field. Indeed, most employers prefer to hire public health nurses with an advanced degree. If you want to enter the growing field of public health nursing, you can start by enrolling in a registered nursing program. Browse our directory to find the best nursing schools in your local area.